Last week, Things 3 for iOS reached version 3.7 and introduced Siri Shortcuts. The advent of Siri Shortcuts has been nothing short of revolutionary in my camp — more on this in the future — and the handy shortcut creator inside Things 3.7 for iOS has been extra handy for building out Things workflows. 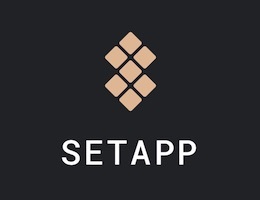 This week’s Things 3.7 for macOS release is much less revolutionary. 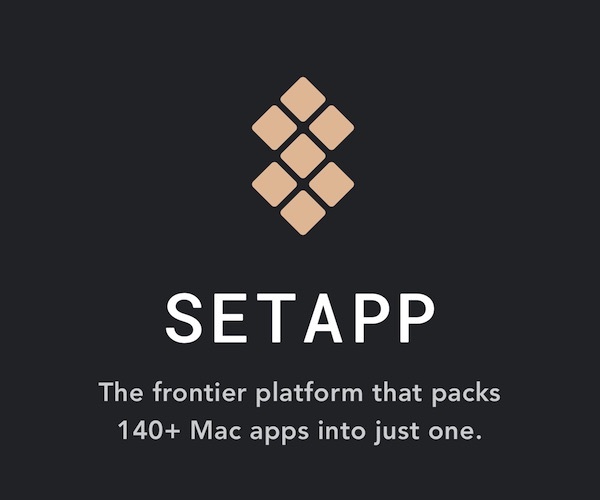 That said, it might be one of the most beautiful updates you’ll see hit the new Mac App Store today. 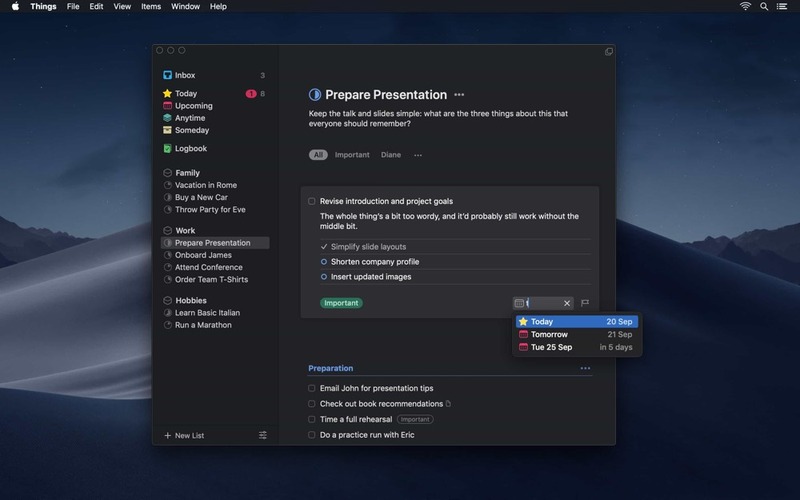 Things 3.7 for macOS Mojave introduces Dark Mode. That’s it. Nothing more than that. But for Things to venture away from its iconic white design is quite the leap forward. For many, Things 3 was the quintessential iOS app, with excellent use of white space, typography, glyphs, and splashes of color to keep your task list enjoyable to work through. 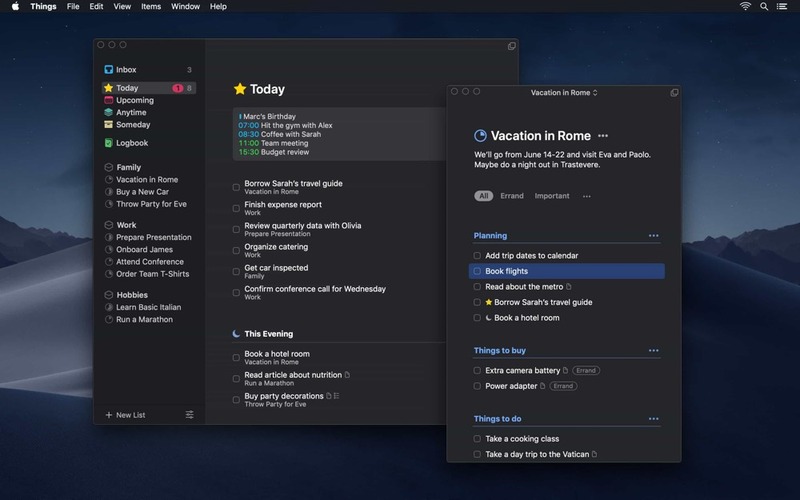 The advent of Things 3.7’s Dark Mode dramatically shifts away from that white design, but does so without losing the charm and whimsy the app has come to be known for. I said Day One version 3’s Dark Mode was the best Dark Mode in the business a few weeks ago. Now, the Things 3.7 Dark Mode sure gives it a run for its money. 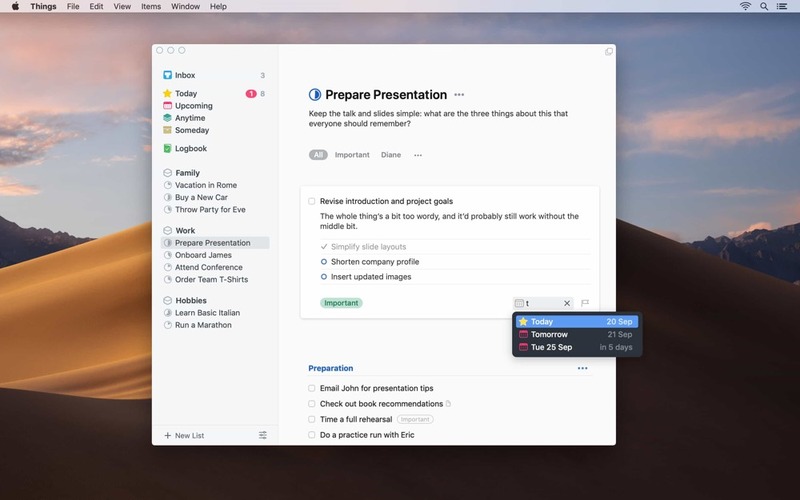 Things 3.7 is a free update for Things owners on the (all new) Mac App Store.